Situated a stone’s throw from the George Airport in the Southern Cape, Oubaai Golf Club is an Ernie Els designed course set atop the hills overlooking the Indian Ocean. If you are lucky enough to ever visit the Garden Route to play some golf, you’ll know how spoilt for choice golfers actually are. 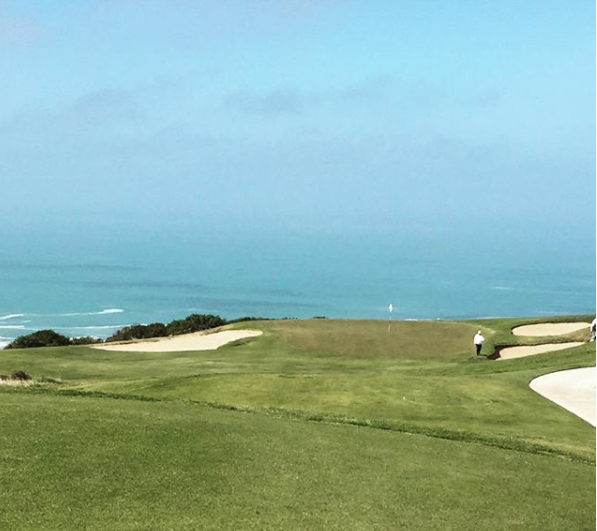 With Fancourt (The Links, Montague and Outeniqua), Pezula, Simola, Mossel Bay, Pinnacle Point and so many more, within a 100km radius you can play a plethora of different styles, designs and difficulties, without ever feeling like you’ve been there before. One of these incredibly unique golfing experiences is the Oubaai Golf Club. It’s hard to say what kind of course Oubaai is, because it feels like a links, plays like a links, but isn’t a links. When the wind blows, Oubaai has its guard up. When the wind is low, so are the scores. There is plenty at Oubaai to attract the novice golfer and the avid golfer, with a varying degree of difficulty on a host of holes. 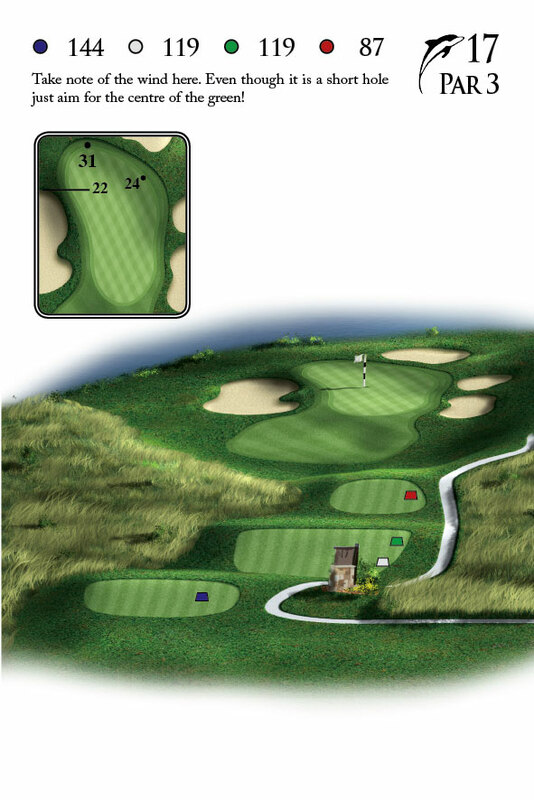 There are reachable par 5s (wind dependant) and tiny par 3s, which all have their strengths and appeals. Aside from golf, there is plenty for the entire family with incredible facilities, an amazing spa and breath-taking views, but if you are going to make the trip to George, best you pack the clubs, because Oubaai is a bucket list destination worth ticking off more than once. The 5th hole is a daunting par 4 with a dogleg to the right. There is a narrow landing area off the tee and there is unforgivable terrain to the right and a well-positioned bunker to the left. Finding the fairway doesn’t mean the battle is won with this hole as you will struggle to find a flat lie. The narrow green is tough to stick and the two green side bunkers to eat a lot of wayward approaches. 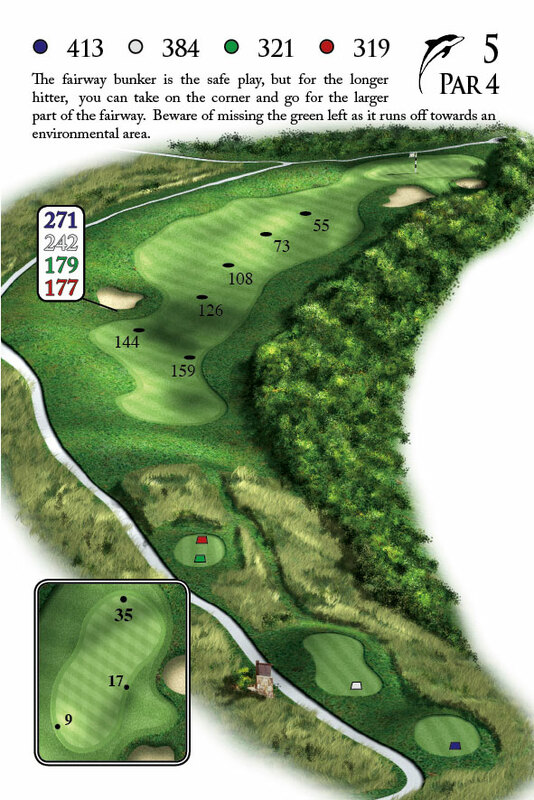 This is a hole where par is king and bogey is your friend. To choose a favourite on the back is tough, but in relity, there can be only one. The short par 3 17th is all about the view. It is quite literally one of the most spectacular holes in the country with panoramic views of the sea and country side. A short hole is made very tough by wind conditions and failing to find the green will mean par is a great success. Find the dance floor and this is a great birdie hole. Again, for South African travellers, the R900 green fee + R175 for a cart may seem steep and in all honesty it is, but if you can find a nice enough day to play during the winter months, the R450 green fee is a steal! Foreigners should eat up the opportunity to play at under $100 or 75EUR.